Several financial metrics measure different kinds of turnover rates, or frequencies. Turnovers in this way measure investment performance and efficiency. In business, turnover rates are measures of efficiency and performance. What Are The Meanings of Turnover? Firstly, Sales Revenue Turnoveris another term for Revenue Earningsduring a period. A company may be said, for example, to have had a turnover (sales revenues) of $10M last year. Asset Turnoveris the number of times a firm replaces assets during a year. Companies measure Turnover in this sense with activity and efficiency metrics such as Inventory Turns or Accounts Receivable Turnover. Turnover may refer to Churn or Replacement Rate in a firm's employee population Turnover in this sense complements the concept of employee retention. For all but the smallest businesses, some level of employee churn is inevitable. For the employer, employee turnover can bring both benefits and costs. Turnover may refer to Churn or Turnover Rate in a firm's customer or subscriber base. Turnover in this sense complements the concept of customer retention. High customer churn turnover rates normally represent costly problems. ABC contrasts with traditional costing (cost accounting), which sometimes assigns costs using somewhat arbitrary allocation percentages for overhead or the so-called indirect costs. As a result, ABC and traditional cost accounting can estimate cost of goods sold and gross margin very differently for individual products. Contradictory and uncertain cost estimates can be a problem when management needs to know exactly which products are profitable and which are selling at a loss. What does Turnover reveal about sales revenue earnings? Where is turnover on the Income Statement. Firms In private industry are expected to grow turnover. Asset turnover: What do turnover metrics reveal about asset activity and efficiency? Employee Turnover: What do turnover rates reveal about the employee population? Customer Turnover: What do Churn Rates reveal about competititve success and market share? Detailed Income Statement example with input data for turnover metrics. See the articles Incomes Statement Equation and Sales Revenues for more on the role of Turnover (revenues) in reporting financial performance. For more on meauring activity and efficiency, see the article Activity - Efficiency Metrics. See the article Growth Metrics for more on measuring revenue growth. What Does Turnover Reveal About Revenue Earnings? Where is Turnover on the Income Statement? Turnover (Sales Revenues) are part of the firm's Total revenues for an accounting period. Exhibis 1 and 2, below, are example income statements, showing that in one year, Grande Corporation reported revenues from 3 sources: (1) Net Sales Revenues (turnover), (2) Financial Revenues, and (3) Revenues from extraordinary items. Business people understand that any reference to Grand Corporation turnoveris a reference only to Grande's revenues from its main line of business (it's Net Sales revenues). Exhibit 1. The simple example Income Statement begins with Net Sales Revenues—another name for Revenue Turnover. Note incidently that Turnover (Sales Revenues) appear on Exhibit 1 simply as Net Sales Revenues, whereas the more detailed Income Statement in Exhibit 5 presents figures for both Gross sales revenues (Gross Turnover) and Net Sales Revenues (Net Turnover). It is the Net figure in all cases that enters Income statement calculations because the net figure represents revenues actually earned. Most profit-making firms are expected to grow over time—growing sales revenue turnover, growing profits, and growing shareholder value. When an industry and its markets are growing, a firm that does not grow may be at risk of losing out to competition, losing customer confidence, and losing investor confidence. Industry analysts, in fact, carefully track sales revenue growth metrics for public companies, from year to year. They compare Turnover growth to profit growth, profit growth, and equity growth across the same period. The purpose is primarily to forecast future financial performance, and future market growth. Exhibit 2, for instance, shows the sales revenue turnover growth performance of Apple, across the years 2002 - 2017. The Exhibit 2 growth curves show that Apple was remarkably successful in growing market share and revenues during this period. These historical data serve potential investors, in addressing the question: "How will Apple perform in the next few years?" Exhibit 2.Net Sales Revenues turnover figures for Apple for 2002-2017 (solid black line) plotted alongside mathematical exponential curve (solid green line). For the period 2003 - 2013, both curves grow at an average annual rate of 39.3% for ten years. For this period, the actual sales curve conforms closely to the exponential curve. For this period, therefore, The cumulative average growth rate (CAGR) represents year-to-year sales growth. Modeling and predicting sales growth for the years after 2013 present different challenges. What Does Activity and Efficiency of Asset Usage? Turnover rates of various kinds are viewed as measures of efficiency, or activity performance. This concep applies especially to certain categories of Balance Sheets assets, which are expected to expectected to earn returns that exceed their costs. For example, merchandise inventories and manufacturing inventories are costly to acquire and exapensive to handle and store. Inventory goods should ultimately turn into sales revenues, but while sitting idle in storage, they bring expensesand produce no returns. In most cases, the faster a firm turns îts inventory base into revenues, the more efficiently it is using inventories. The Inventory Turns metric metric measures the rate at which this occurs. In the same way, other Turnover metrics appearing below measure the firm's ability to earn returns from other asset classes and other resources, efficiently. Inventories, like other assets, should work efficiently to produce returns—that is, bring sales revenues. Inventories sitting idle are not working efficiently and may not be justifying their presence on the Balance Sheet.ues. Inventory assets "work" by getting out of the inventory warehouse and turn into sales revenues. The inventory turn rate is also viewed as a rough measure of inventory liquidity, that is, the ease with which the firm turns inventory into revenues. Inventories that are not turning into revenues are nonproductive assets. This metric measure Inventory turns by comparing total net sales from the Income statement to the value of inventory from the Balance Sheet. The Balance Sheet inventory figures of course represent inventories at period-end. When used this way, the period-end inventory total is viewed as a stand in for the typical or average inventory total for the year, at least for the purpose of creating the Inventory Turns metric. How Do You Calculate Inventory Turnover Rate? Total inventories at period end (Balance Sheet): $5,986,000. Cost of goods sold (Income Statement): $22,043,000. Net Sales Revenues (Income Statement): $32,983,000.. Note that analysts commonly use two different methods for calculating inventory and that the two methods can yield different Inventory Turns results. The second method using CGS will generally be lower or more conservative than Method 1 using Net Sales. Note also, that some firms use "Average inventory value" in place of "Total Inventories." The latter represents the end of period Balance Sheet figure. When substantial seasonal fluctuations in inventories occur, however, the period average inventory value may be the more appropriate representation. Inventory represents an investment by the company. While the investment sits in inventory, funds used to purchase inventory cannot serve other purposes. Inventory may require expensive storage space and handling. Some kinds of inventory lose value quickly: Food, plant, and animal products may be subject to spoilage. Technology products may become outdated and obsolete. Fashion products may have high value only for a short season. Maintaining a high inventory turn rate for products with a short "shelf life" is critical. On the other hand, inventory turn rates can be too high if lack of inventories interferes with the company's ability to maintain manufacturing or production schedules, provide warranty service, expand into new markets, or otherwise meet customer needs. To track efficiency changes for a specific company, analysts compare Inventory Turns from year to year..
Optimal inventory levels and optimal inventory turn rates represent a tradeoff between (1) inventory costs and (2) the negative business impacts of insufficient inventory. The difference between "good" and "poor" inventory turn metrics varies widely from industry to industry, and even between healthy companies in the same industry. An optimal inventory turn rate for one company is not necessarily an optimal rate for another. Inventory turn rates that fall substantially below the industry average, may signal a serious problem in production or sales. The inventory Average Turnover Period (or Days Sales in Inventory or Days Inventory Outstanding DIO) metric carries the same information as the Inventory Turns metric (above). Whereas Inventory Turns is a rate, or frequency per period, the Average TurnoverPeriod metric express the same information as a number of days per inventory turn. How is Days Sales in Inventory Calculated? The section above shows that analysts use two different approaches to calculating Inventory Turns per year. Firstly, Inventory Turns can represent Net Sales Revenues divided by total inventories. The second approach uses Cost of goods sold divided by Total inventories (or Average inventory). With the latter latter approach, the Average Turnover Period is usually called Days Inventory Outstanding, or DIO. DIO, calculated this way is one of the three components of the liquidity metric, Cash conversion cycle (CCC), illustrated in the article Liquidity Metrics. The two other CCC components are other efficiency metrics, Days Sales Outstanding (DSO) and Days payable outstanding (DPO). This metric carries the same information as the Inventory Turns metric (above). Thus, the usage guidelines for Average Turnover are the same as the guidelines for Inventory Turns, above. A minor note of caution when comparing Average Turnover Period metrics: Be sure that all values in view use the same number of days per year. The metric sometimes uses a 365-day year and sometimes a 360 day year. The Accounts Receivable Turnover metric shows—not surprisingly—the rate at which the firms's accounts receivable turnover. Accounts receivable appear on the Balance Sheet as assets. Like other assets, those that take longer to turn over are considered less productive than those that turn over quickly. How Do You Calculate Accounts Receivable Turnover? Accounts Receivable Turnover is simply the ratio of Net Sales Revenues (an Income statement entry) to Accounts Receivable (a Balance Sheet item). Net Sales Revenues (from the Income statement): $32,983,000. Net accounts receivable (from the Balance Sheet): $1,832,000. An Accounts Receivable Turns rate greater than 12 indicates that, on average, accounts receivable are collected in one month or less. This results applies to the example firm above, with an accounts receivable ratio of 18.0. When the Accounts Receivable Turns rate is in accord with the firm's payment terms, collection performance seems healthy. The Accounts Receivable Turnover metric reflects the firm's ability to enforce good credit and collection policies. Stated collection periods for receivables vary from industry to industry, ranging from about 10 to 45 days. An average receivables turnover period exceeds that exceeds the firm's payment policy may be a signal that the company is having to accept business from customers who are poor credit risks. A low Accounts Receivable Turnover rate may also mean the firm is having to extend extraordinarily long payment terms in order to win business. The Fixed Asset Turnover metric compares sales revenue earnings (Net Sales Revenues from the Income statement) to the value of the company's total fixed assets (also known as Property, Plant and Equipment or, sometimes, Operating Assets), from the Balance Sheet. It measures how well the company generates revenue from assets that are not as liquid as current assets. How Do You Calculate Fixed Asset Turnover? Net sales revenues (from Income statement): $32,983,000. For any company, Fixed Asset Turnover will of course always be higher than Total Asset Turnover (next section). Fixed Asset Turnover usage guidelines rules of thumb are very similar to guidelines for Total Asset Turnover (following section). The important information for any company in Fixed Asset Turnover metrics has to do with year to year changes. Generally, Fixed Asset Turnover rates should increase from year to year. Large investments in fixed assets are necessary in order to operate in some industries (power generation or heavy manufacturing, for instance). Operating in other industries may require very few fixed assets (consulting or other professional services, for example). In still other industries, some companies choose to acquire operational assets such as buildings, computer systems, and vehicles, while other companies in the same industry utilize the same assets through operating lease or rental contracts which leave asset ownership to other parties. For these reasons, comparing Fixed Asset Turnover ratios with industry standards or between companies should be done cautiously. Companies acquire assets for the purpose of generating revenues. Total Asset Turnover (this section) and the metric in the previous section (Fixed Asset Turnover) compare directly the revenue "returns" from the company's assets (sales revenues) to the book value (Balance Sheet value) of the assets. The higher the Asset Turnover Rate, the shorter the time required for assets to generate their own value in sales. These metrics are considered activity or efficiency metrics. They should not be confused with profitability metrics, such as Return on Total Assets or Return on Equity (those appear in this encyclopedia under profitability metrics). How Do You Calculate Total Asset Turnover? Total Assets (from the Balance Sheet): $22,075,000. Fixed Asset Turnover usage guidelines rules of thumb are very similar to guidelines for Fixed Asset Turnover (previous section). The important information for any company in total asset turnover metrics has to do with year to year changes. Generally, total asset turnover rates should increase from year to year. Large investments in assets are necessary in order to operate in some industries (power generation or heavy manufacturing, for instance). Operating in other industries may require very few fixed assets (in consulting or other professional services, for example). In still other industries, some companies choose to acquire operational assets such as buildings, computer systems, and vehicles, while other companies in the same industry utilize the same assets through operating lease or rental contracts which leave asset ownership to other parties. For these reasons, comparing total asset turnover ratios with industry standards or between companies should be done cautiously. Sales Revenue Turnover per Employee is a simple but informative measure of the firm's ability to generate sales revenues with its employee population. Firms often state publicly that "employees are our most important assets," but employee value does not appear on the Balance Sheet. Nevertheless, employees are costly resources that should produce returns. While the Balance Sheet itself does not measure employee value this way, this metric, Sales Revenue Per Employee, does provide a rough measure. How Do You Calculate Sales Revenue Turnover per Employee? For growing companies, or companies shrinking in size, employee headcount at year end may be quite different from the year's average value. Where employee numbers fluctuate significantly during the year, the yearly average yields a better measure of efficiency than the year-end headcount. For firms with highly seasonal sales and employee headcounts, "Sales revenue turnover per employee" metrics are better evaluated on a quarterly (or monthly) basis. A firm can be profitable only if the measure of Revenue turnover per employee is greater than the firm's cost per employee. Revenue turnover per employee greater than per-employee cost does not guarantee profitability, but it is a prerequisite for profitability. Year-to-year growth in sales revenues per employee should at least keep pace with inflation and rising costs per employee. Turnover may refer to Churn or Replacement Rate in a firm's employee population. Turnover in this sense complements the concept of employee retention. For employers, employee turnover can bring both benefits and costs. Generally, however, high employee turnover rates are viewed as costly problems that need management attention. Annual employee churn of some kind is inevitable in all large and medium sized businesses. 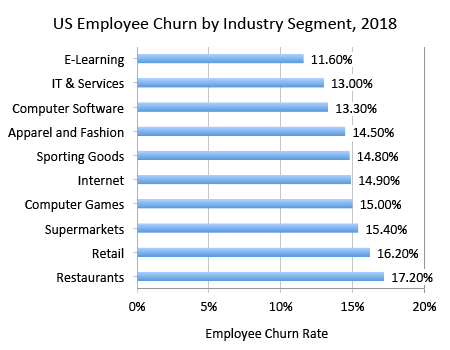 Exhibit 3, for instance, shows employee churn rates in the US in 2018, by industry segment. High employee turnover rates and high customer turnover rates normally represent costly problems. However, in the case of Employee churn, there are also some benefits from employee turnover. Employee turnover enables employers to replace less productive employees with more productive employers. Some employers "prune" the workforce periodically in this way, to maintain high productivity levels. Automobile dealerships, for instance typically hire new sales people for a probationary period, after which they replace those who do not reach sales productivity targets with other new hires. Turnover enables the employer to replace employees with outdated skill levels or knowledge, with entry-level hires who do have up-to-date skills and knowledge. Some employers create employee churn deliberately in order to replace more senior higher paid employees with new entry-level employees at lower cost. Government workplace rules and union rules in many places attempt to prevent this practice. When business volume is declining, employee departures (voluntary or involuntary) can enable employers to reduce employee headcounts to levels more appropriate for current needs. Both proponents and critics of this practice sometimes call this kind of action rightsizing. Recruiting costs and new-hire training costs for replacement employees. Severance pay and other benefits for employees laid off (redundant or downsized employees). Lost productivity while new-hires acquire skills on the job and ramp up to full productivity. Loss of knowledge and skills that leave with departing employees. Disruption of workforce momentum, especially where work tasks are "team." Why Do Employees Leave Voluntarily? Employees leave for a variety of positive and negative reasons. They may choose to leave because of low pay, lack of compensation or recognition for high achievement employees, or availability of higher pay or better advancement opportunities elsewhere. It is well known, for instance, that successful employees in some industries advance their careers through continuous job shopping, changing employers every 2 or 3 years or even more often. At the same time, less "marketable" employees have less opportunity to advance in this way. They say "people don’t leave jobs, they leave managers," and a survey by B2B marketplace Approved Index confirms that this adage is true. In its survey of 1,374 employees in the U.K., nearly half (42%) of them have left a job because of a bad boss and almost a third of them feel their current boss is a bad manager. Turnover may refer to Churn or Turnover Rate in a firm's customer baseor subscriber base. Turnover in this sense complements the concept of customer retention. Customer churn is always a cost to the seller--never a benefit. For businesses that rely in repeat business, a high customer churn rate represents a costly problem that calls for management attention. Some customer churn is unavoidable in virtually every industry and market, but especially so where firms compete intensely for market share. Exhibit 4, for instance, shows 2018 customer churn rates by industry, in the United States. Sellers of Goods or Services pay close attention to their customer retention rates (repeat business rates). Businesses in some industries either succeed or fail due to their ability to win repeat business. Restaurants and mobile phone service providers are examples of this situation. For almost all businesses, the loss of repeat business and customer churn can be costly. In competitive industries, loss of repeat business means loss of revenues and loss of market share to competitors. Acquiring new customers is more costly than repeat sales to existing customers. Thus, simply replacing lost customers with the same number of new customers may maintains market share, but this comes with a high cost of sales. In competitive industries, sellers of goods or services use a variety of well-known tactics to win repeat business can combat customer churn. Customer loyalty plans have proven very successful in some industries. Airline Frequent Flier plans, for instance, are among the most familiar and most effective tactics for combatting churn. Widespread use of customer loyalty plans has spread, in the last few years, to a wide range of retail goods and services providers (e.g., grocery shops). Usually, with these plans, loyal customers are rewarded with discounts on future purchases or extra services. Mobile phone service providers and other services that sell subscriptions, sometimes attempt to "lock-in" customer loyalty by selling long-term plans that come with heavy fees for early cancellation. Mobile phone service providers and other services that subscriptions also offer incentives in the form of discounts for renewing subscriptions. Moreover, these same providers sometimes make comparison shopping by continuously offering new and complex plans that are not easily compared with competitor's plans. Some restaurants, hotels, and airlines, for instance, place a very heavy marketing emphasis on the quality of their customer service and, in some cases, "customer satisfaction guarantees." It is well proven in these industries that dissatisfied customers do not become repeat customers. Exhibit 5 The example Balance Sheet in Exhibit 5 below provices some source data for efficiency and activity turnover metrics illustrated above. The example below has a level of detail typical for an Annual Report. The detailed example Balance Sheet in Exhibit 6 below provides some source date for efficiency and activity turnover metrics illustrated above. Exhibit 6.Balance Sheet with input data for efficiency and activity turnover metrics examples. See the Excel-based ebook Financial Metrics Pro for a complete introduction to cash flow metrics and financial statement metrics (Business ratios). 1. Zapp, John. "Who Has the Highest Turnover Rates?" https://www.tlnt.com/who-has-the-highest-turnover-rates-hint-its-not-retail/. 2. Higginbottom, Karen. "Bad Bosses At the Heart of Employee Turnover," Forbes,https://www.forbes.com/sites/karenhigginbottom/2015/09/08/bad-bosses-at-the-heart-of-employee-turnover/#54173ed4e632.